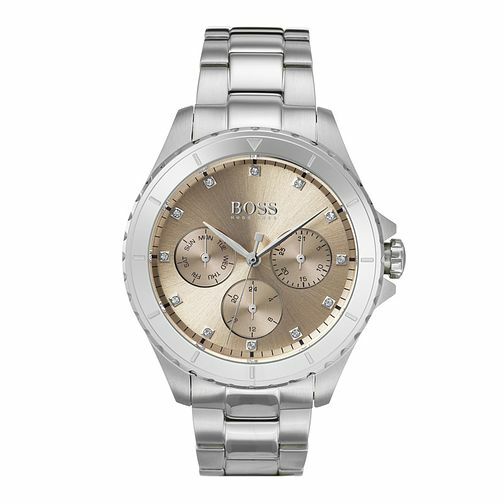 This stylish Hugo Boss Premiere watch is the perfect statement piece accessory for the modern woman. The polished stainless steel case, beautifully complements the sumptuous gold tone dial, and a dynamic chronograph function. The three sub dials add to the watches functionality and the crystal set bezel adds the final sophisticated finishing touch to watch design. Hugo Boss Ladies' Premiere Pink Bracelet Watch is rated 5.0 out of 5 by 1.